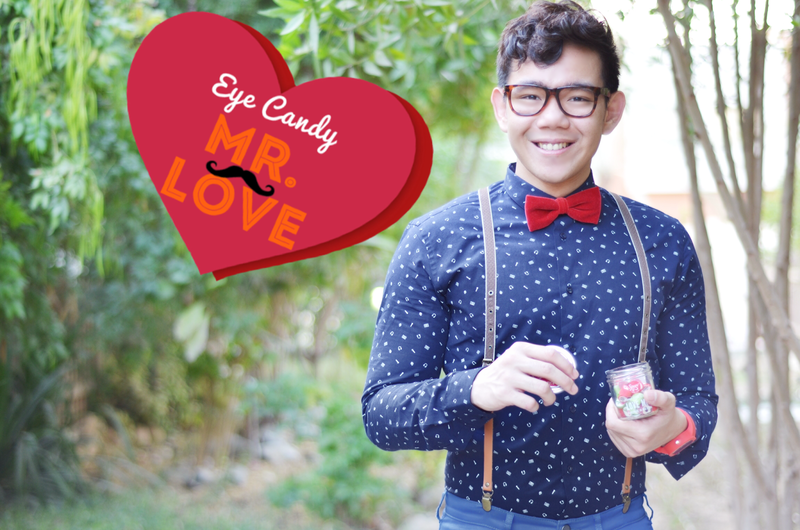 This will be the final look for the EYE CANDY series my friends and I had lots of fun doing it! 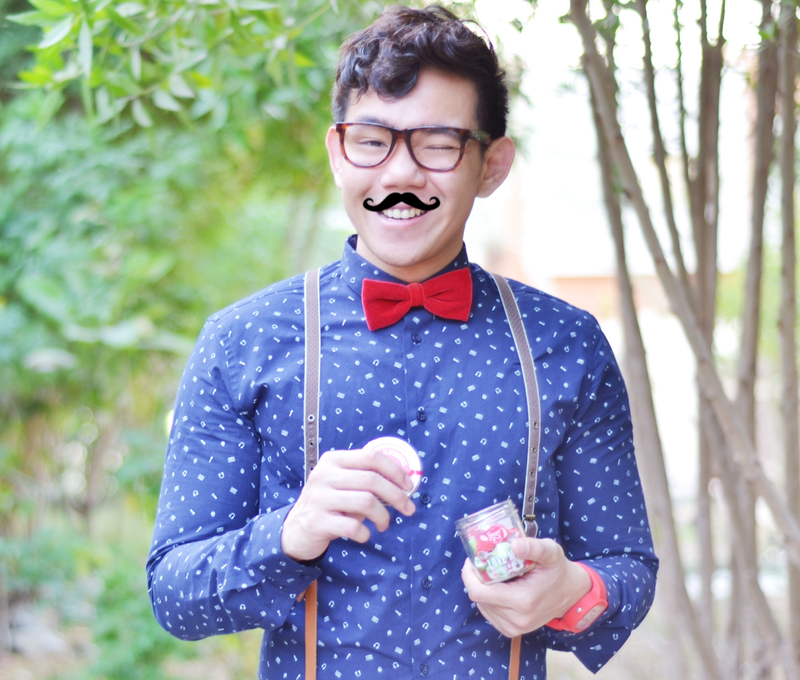 I really like looking so cute and dandy lately that you might see more of this type of style on my future blog posts. Ahhh.. Love! Love is roller coaster of emotions. For me there are a lot of feelings that are associated with love. Its a mixture of happiness, inspiration, hope, sometimes sadness and even more. Its an assortment of emotions to be exact. Oh wait... Hmmmm... something is missing here... oh! I know! lol! So sorry! As much as I want to grow a "suavé" mustache for this look, my body hair is too limited that it may take me years to grow it so I'm virtually making one cause its faster that way. Anyway kidding aside, I'm doing a "anti-hipster" sort of fashion in this look. Its like a mixture of hipster style and kpop with a little bit of charm and a clean shaven face. I've nothing against hipsters though (please don't scorn me)! I just called it anti-hipster to make it sound interesting, and cause there's no type of fashion I can call it yet... I guess?... Well if you know, you have the comments section below to let me know. I'm wearing a nice printed shirt and a neon blue chinos (both from Zara). 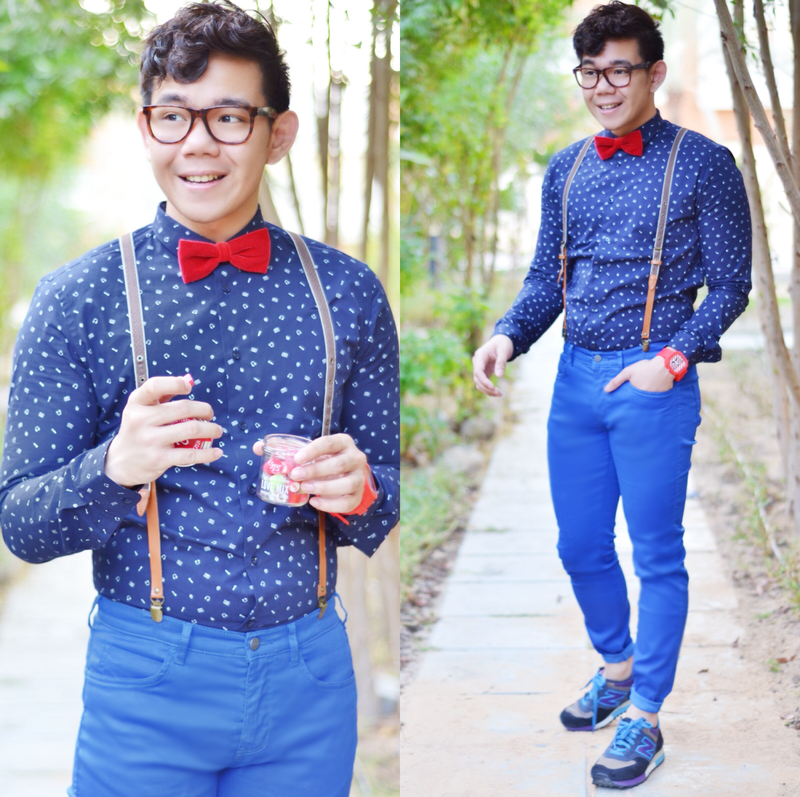 I put a nice pair of glasses, suspenders, a red bowtie and a red watch. I originally wanted wear a red shirt, but I think this subtle pop of the color red has a nicer feel and touch to it rather that going full blown cliché red. Didn't I say Love is a mixture of every feelings? Well in my world its a mixture of every color too! 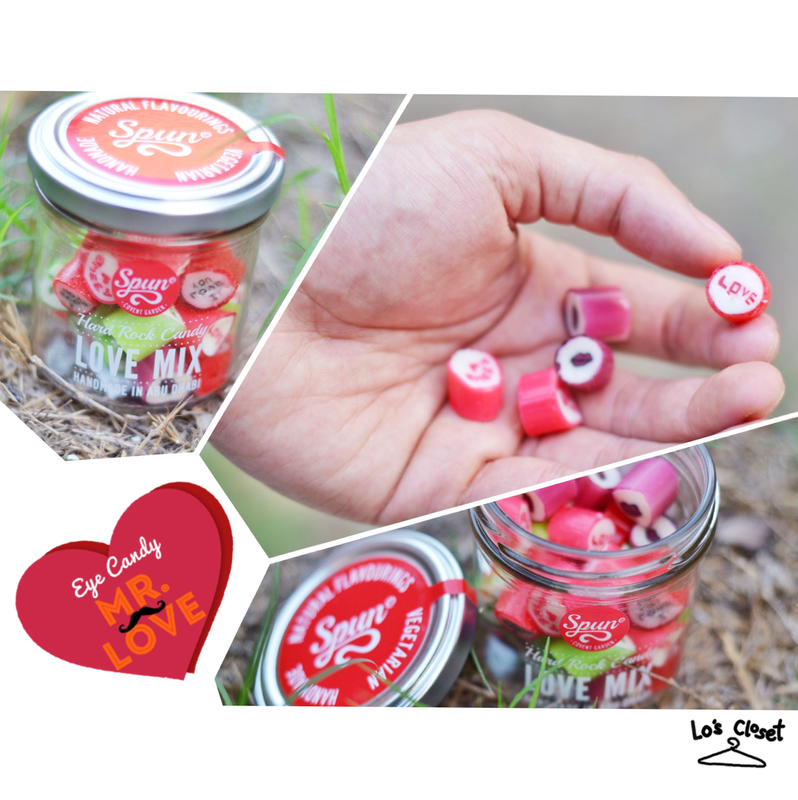 And speaking of assortment of feelings, the Spun Candy Love Mix is I think the perfect companion for this date! Guys, give this to a girl that you really like and she'll soon be yours! Well, of course you have to court her and everything, but giving her a bottle of this goodness will make everything better. What I like about these candies is that they're not too sweet and but doesn't lack flavor. Its just right. 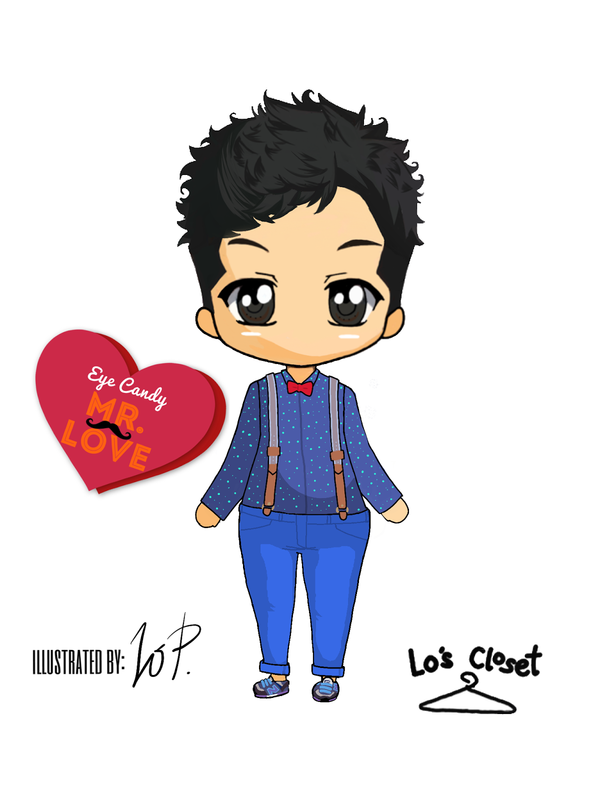 Perfect for your "The One"
Hope you guys enjoyed all the looks I did for the EYE CANDY series as much as I did doing it! I've received tons of good comments and likes on both my instagram and lookbook.nu account and I'm so overwhelmed that I got so inspired I cant wait to do a new series of outfit posts soon here in my blog!